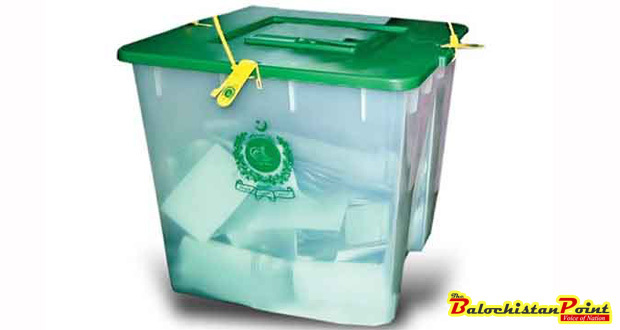 2013 General elections proved to be one of the most controversial elections in history of Pakistan. Election rigging saga that started right next day after elections has come to an ended after the release of report of Judicial Commission formed to prove election rigging. Judicial commission rejected the charges of PTI that elections were systematically rigged to benefit PML-N. The verdict has ended the debate on election rigging but it has left a lot of unanswered questions relating to Balochistan. There is no doubt that Balochistan was the biggest victim of rigging in 2013 general elections. That Pashtunkhwa Milli Awmai Party (PKMAP) won from PB-4, PB-5 and NA-260 which was not possible without rigging. Similarly, no elections were held in Panjgur but still National Party (NP) candidates were declared victorious. These are just two examples of massive rigging that took place in Balochistan in last general elections. Ample proof was submitted to the judicial commission about rigging in Balochistan. However all that proof went in vain due to Terms of reference of judicial Commission which didn’t focus on rigging in individual constituencies. This simply means that those responsible for rigging in Balochistan got away without accountability of any kind. Who was responsible for rigging in Balochistan? One can’t say with certainty due to absence of concrete proof. However there is concrete proof that establishes the fact that elections were engineered in Balochistan. Lack of accountability of those responsible in election rigging means that door of rigging is still open in future elections. Government parties in Balochistan namely NP and PKMAP are making claims of their victory after the verdict of Judicial Commission. There claims are childish because they are either unaware of terms of references of judicial commission or just want to make fools out of common public. Judicial commission never investigated rigging claims in each and every Constituency of Balochistan it just focused on an organized effort to benefit PML-N. So the verdict of Judicial Commission is victory for no one but defeat for democracy in the province. Due to lack of accountability for 2013 general elections, provincial government managed to rig local government elections 2013-15 in its favor. Election process was delayed for over 14 months just to ensure victory of NP and PKMAP in different districts. The way incumbent government conducted local government elections is a black chapter in the history of Pakistan. After electing Mayors and district Chairmen, provincial government is hesitant to transfer power to them which is causing problems for people of the province. The need of the hour is to introduce meaningful electoral reforms to close the door of rigging forever. Electoral reforms committee set up in National Assembly should work on electoral reforms on war footings. Introduction of Electrical Voting Machines is the only practicable solution to eliminate practice of election rigging. If rigging in national elections is not controlled then the democratic process is rendered meaningless.